Explanation: Discovered by the the Lincoln Near Earth Asteroid Research (LINEAR) project in October of 2002, comet C/2002 T7 is now visiting the inner solar system, making its closest approach (see animation by L. Koehn) to the Sun tomorrow, April 23rd. Emerging from the solar glare, the comet is now just visible to the unaided eye in the constellation Pisces, near the eastern horizon in morning twilight. 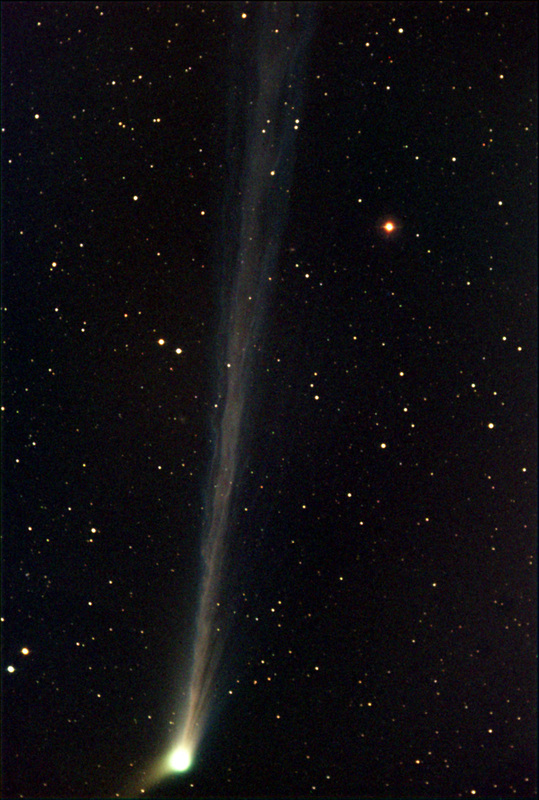 In this gorgeous telescopic view recorded before dawn yesterday, the clearly active comet has developed an extensive, complex tail extending over 2 degrees in the anti-sunward direction, and a pronounced anti-tail or anomalous tail. 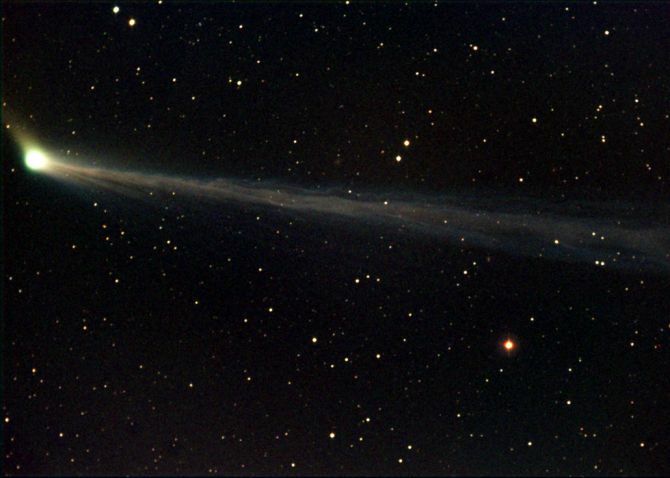 Later next month this comet should appear brighter, making its closest approach to planet Earth on May 19th. In fact, it could share southern skies with another naked-eye comet, also anticipated to brighten in May, designated C/2001 Q4 (NEAT).